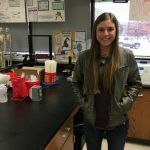 BIomedical Sciences Student Named Top 100 STEM Student in U.S.
STEMPremier has named Kaylee Smith one of the nation’s Top 100 STEM students. Smith, a second-year STEM Academy – Biomedical Sciences student at Meridian Technology Center, was one of more than 350,000 students considered for this honor. STEMPremier is an online resource for students studying science, technology, engineering and mathematics (STEM). Students can create profiles highlighting their academic pursuits, civic engagement and accolades. The site connects students, educators and employers to help fill the nationwide STEM shortage. “It really is a great way to get connected to STEM resources. Having a profile gives users access to scholarships, internships and jobs,” Smith said. The Stillwater High School junior said she has always had an interest in the medical field. Enrolling in Meridian’s STEM Academy for Biomedical Sciences was an easy decision. I knew coming to Tech would provide me with valuable lab experience and expose me to a variety of research pathways,” she said. Smith plans to pursue a career as a chemical engineer, focusing on Duchenne muscular dystrophy (DMD), a severe type of muscular dystrophy. DMD is a genetic disorder that is caused by the absence of dystrophin, a particular protein that helps keep muscle cells intact. The Center for Disease Control and Prevention estimates that approximately 349 out of 2.37 million males between the ages of 5-24 have been diagnosed with DMD. It currently has no cure. Smith’s interest in DMD is more than academic – it’s personal. About five years ago her brother Deacon began to show symptoms. In addition to her academic success at Meridian, Smith is active in several organizations at her high school, Tech and the community. She is a member of Beta Club, Mock Trial, the Stillwater High School band, Symphonic Orchestra and Pit Orchestra, HOSA – Future Health Professionals CareerTech Student Organization, a member of the MTC Leadership Class, National Technical Honor Society, SME High School Member, Oklahoma State University’s Youth Orchestra and National Honor Society. 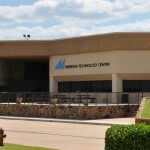 She has held leadership positions in many of these organizations. Smith has received numerous awards including Outstanding Freshman Musician, Outstanding Sophomore Musician, 2016 North Central Director’s Association Junior High School Ensemble first chair, 2017 North Central Director’s Association High School Ensemble second chair, 2017 All State Symphonic Band third chair, and Mock Trial Best Witness in 2016 and 2018. The STEM Academy at Meridian is dedicated to teaching students science, technology, engineering and mathematics principles using Project Lead the Way (PLTW) curriculum. Students can enroll in a Biomedical Sciences or Pre-Engineering pathway. Coursework focuses on developing in-demand, transportable skills such as critical and creative thinking, collaboration and communication, helping ensure student success no matter what college or career path they take. Last year nearly 140 students were enrolled in the STEM Academy. Students may enroll as a sophomore, junior or senior. 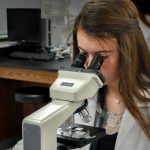 The PLTW Biomedical Sciences program is a four-course sequence where students study and investigate concepts of human medicine, physiology, genetics, microbiology, and public health, and explore a range of careers in biomedical sciences as they learn content in the context of real-world, hands-on activities, projects and problems.